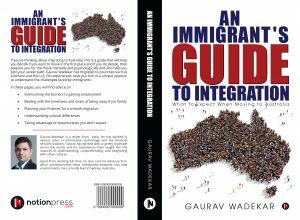 Since my last post on Indians moving to Australia, I have received an overwhelming response and it is just an awesome feeling. Now I find my time invested in helping people get jobs, reviewing their resumes or LinkedIn profiles, having hour long conversations on tips and tricks which people should follow to get jobs. Can’t wait to share with you that first success story as soon as I get one. It also, made me start a meetup on Finding jobs in Australia and in 2 days, have more than 60 members and guess what the first event is on next Tuesday and I had capped it on 20, and already I have 6 on the waiting list. That is how desperate people are, to know how they can do some things differently to get that next job. Wow! But then, in the process of talking to these people, I found that there are some who have got the jobs but they are not at all happy. People with 10 years, 15 years experience and end up doing jobs not related to their previous jobs or end up choosing a step below from where they were. Which means, the problem is not that you did not get a job here when you came, the problem is you did not plan ahead. Hence, I am compelled to write this one. First of all, do a research on the country you want to take permanent residency of. Talk to people there and understand the culture and lifestyle. Talk to the people there means, talk to Australians and not Indians in Australia. If you are interested, you will know where and how to find them. Go figure. But talk to a local to know about the life in their country. Most of the times, I see people calling other immigrants from their country (nothing wrong in this and one should get feedback from friends and family) but try to ask them about their local friends and see if they can spend some 15 minutes with you over the phone. Do not talk about jobs and salaries as that will really put them off. Just talk about, the life and the culture here. Tell me about your beautiful country and what should I expect if I come there, could be good questions to start a conversation. If possible, just do a small holiday tour to Australia and visit before you decide to take that step. It will really help in making your decision. Now, do a research on your job skill. Do you have a specific skill set or a general skill set? Do research on the job market for your skill set. LinkedIn is a powerful tool. Research your job profile on www.seek.com.au and see what kind of openings are there. A lot of people are very happy to see a lot of job openings for their roles on the seek website, but what they do not understand is, that it means, it is a generic skill set and there are a lot of people available for that skill set already. Try searching for some specific technology say “Blockchain” for example and see what do you find? If it is scarce, it is rare, easy to crack! By the way, this was also told to me by one of the recruiters recently at a meetup. Ask yourself the question of why overseas? Why Australia and try to give at least 20 good reasons (the more the better) for you to move from your country (And I will move because Xyz moved there and is doing really good, is not a reason, by the way as everyone’s situation and the condition is different). Get your visa processed. Most of the people have told me that their agent back in India has charged up to Rs. 1 lac (About AUD $2100) for getting the visa processed. This does not include the visa fees and other costs that are associated with the visa like the English test, medical tests, etc. Until the visa comes, work on your LinkedIn profile and create a network for you. You can see my profile here. Start doing some research on the life here. Be acquainted with the city you are moving to. Join Internations, an expat community and see if there are any Australians in your city. You can go to the event or network with them. Start making a list of necessary things you need. Be aware of the weather here, when you are traveling and be prepared accordingly. Most of the things you can buy here. There are a lot of Indian stores, Asian stores and hence you will get most of the things from your country here. This is important. Visit sites like www.gumtree.com.au and look for those odd jobs that you may be comfortable in doing when you land here, for the first few weeks. Why this? Not so much to help you earn the money, but more so to give you that local feel and help you get acquainted with the local culture. This will help a lot in your interviews, as most of the people are looking at cultural fit in addition to your skill set. This will also mentally prepare you to be ready for any challenge that comes across. We may never need this but no harm in knowing. Book your flights well in advance to get good deals. I use www.skyscanner.com and it just gives me the best deals from all the sites. A week before coming, start applying to the jobs on www.seek.com.au and www.indeed.com.au and LinkedIn. If you do so, before that, they won’t look at it as they don’t know when you would come as you would write, that I will be there on this date. They would rather give a preference to someone who can do an interview in the near future. So, any application a week before is just useless, according to me. Look at the customs laws for Australia and bring only necessary things. A lot of things like plants, wooden items, spices, etc. are not allowed and hence be aware of it. As I said earlier, you will be able to buy most of the things here. If you use Uber, attach your debit or credit card to it as here, Uber does not allow cash and it could definitely come in handy for you at times. Have some Australian dollars on you when you travel. They will come handy as soon as you land. Now you are all packed and take the flight. Have a good phone, so you can take enough selfies and photos. It is always exciting to travel so keep it that way and don’t be stressed. You are well prepared. Take a local phone number (Lebara (Available in the arrivals hall at the airport) is bad in their service but gives you unlimited international calling to India for $50). The network is Vodafone dependent I guess and hence it works fine and the data is a bit limited too but most of the times, we end up using wifi. Optus has a very good network. Get a driver’s license – Information can be found here. If you hold your license in India for more than 3 years, you may be eligible for a full license and only an online test is required. However, check with the RMS when you reach here. Open a local bank account (CBA, Westpac, NAB, ANZ are the big 4 banks) and I am with CBA, who I think are good enough but you can go to any. Also, most important part. If you want to know which bus to take or which train to take and how to go from one place to another, the best way to do that is maps.google.com. I have not found any other site as good as Google Maps so I use it and recommend it. I have written this in the context of Sydney but my friends from other cities can throw light on any specific points relevant to their city. Most of them are similar though. Now, start enjoying this immigrant dream that this beautiful country is more than happy to provide for a better future, not only for you but also the next generations! If you have any questions, please feel free to ask me and if I don’t know, rest assured that I will put some effort in finding the answers for you. 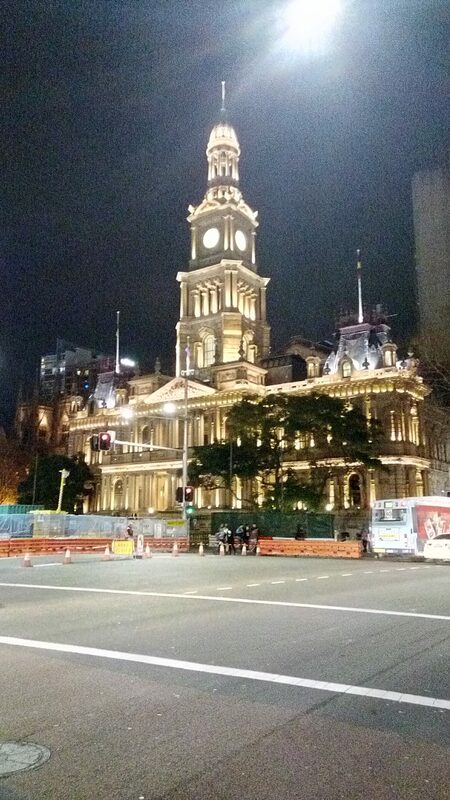 And if you are curious, about the featured image, it is the Sydney Town Hall, right at the center of the city. Until, next blog, Thank you! if you have friends or relatives first try & live with them or live in sharing with another family in similar circumstances until such time that you got the job & if you are entitled to receive FTB A & B, rent assistance. Join your community group on social media platforms like Facebook, What’s App or Telegram, generally this group posts are very helpful. Am sure you must be fed by my responses on all (LinkedIn, Meetup and now here); but this shows how much I liked your initiatives. For this post, I couldn’t agree more with your approach; and fortunately I had done the similar thing when I decided to move here. I had a year long assignment last year which gave me real up close feeling of life in Australia and at the end of the assignment I decided to move here for more permanent tenure. And as part of my checklist I did almost all the things that you listed out. Thank you very much for this post and am going to share this anyone who asks me on how to migrate to Australia. Thanks Gaurav for the superb info. You have touched most of the points immigrant need and not sure whom to ask. Good read Gaurav. Enjoyed it. Gaurav, awesome. A loads of insights. Thanks much man. Your help to people who are new will help big time. God bless you and your family. Good one to start; Gaurav. You may like to add more about Visa / Immigration formalities for professionals especially in age group of 40+. Gaurav, I think your detailed write has answered almost all the questions very clearly…and left no scope to get lost in the string of questions. Thank you so much. You have brought perspectives which probably I would have missed earlier. Thanks buddy!! Very inforamative article Gaurav. Specially good for people like me who are still in confusion about migration. Thanks for sharing. Hi Gaurav, nice to have such a good info ! Thanks !! Well, I am also planning for Aus and currently preparing for IELTS. I m 38 years old and havethree kids. As you’ve said, people move alone first and then they bring family over there. Is it possible that I apply for PR fo my self and then call my family ? I am BE Electronics and having 14 years experience in Chemicals and Petrochemicals industries as an instrumentation engineer. I am not a visa expert and would not know as to how that would work out for your family. I think, people apply for the PR for the entire family as that makes sense. They come alone to figure out the opportunities and settle down before calling the family here. Ensure that you have done enough research in the chemicals and petrochemicals industry related work in Australia. As I am not aware of this industry and won’t be able to comment on the prospects. Search for LinkedIn to find companies and people working for the companies and try to connect with them to understand the prospects and opportunities. Hi gaurav i found ur blog very informative…my query is: my husbnd is a vet doctr vng 6yrs of exp..our agent hs told us to gt a Pr aftr tht he hs to live thr fr abt 6weeks n he ll assist him in finding a decent job..cud u plz help me here like do u knw any vet companies or slaughter houses whr we can link up…. Hi Aliya, I am not aware of any one, but shall keep my eyes and ears open. I do have some friends who are pet lovers and shall check for references. If I find something, shall email you. I recently got a PR. I heard it is not a good time to start job search in Australia during Nov. Dec due to the holidays. What do you suggest?. Should I wait until Jan? It will be a challenge as the business is slow. You should wait until mid to end of Jan ideally. Having said that, there are people who have got jobs during that period too but it is extra hard work during this period. Thank you so much for the response!. Is there any thing else one can do during this time as a preparation(courses/networking etc)? I have found all your suggestions really helpful, appreciate your efforts to make every new PR holders visit hassle free. I have received my VISA just two days ago and my wife and me are exploring more and more about Australia. We are planning to move there by end of January and Februray. we primarily have few questions.1. What amount of money should we have before moving to Australia if we are targeting 2 months of Job search.2. We have received the VISA for NSW, What are the chances of getting a job there if you already have some contacts living in NSW and working in some decent firm..
Hi, Rohit, I am glad that you like the blog. Here are the answers to your questions. 1. 2 months of job search is calling too close. You should be practically ready for 3 – 6 months. The cost of living depends on whether you are coming along or with family. But realistically, consider at least about 3 – 4k monthly expense if you want to live a decent lifestyle. However, the figure depends on a lot of factors. 2. It is a broad question buddy. It all depends on your experience, network, ability to gel with the culture, so many things. You can email me at gaurav(at)zozaka.com.au and I can probably guide you through the process so you can prepare yourself. All the best! 1. Does nominating a particular occupation from SOL for purpose of getting a PR limits oneself to look out for jobs relevant to occupation basis which PR is granted? I am currently working the supply chain/logistics domain and my qualification is Engineering. 2. If things go well, how do I start with the process of searcing a job in Australia? Is it possible to get selected by a decent company without having to actually present myself for a physical interview since the communication barriers are very low in today’s age with Skype etc. 3. Do you have any perspective to share about Canada PR ? And also if you are aware about differences in Australia and Canada culture,climate and job market? I think, there shouldn’t be any implication of your PR and the job that you search for. People in Australia like the human connection and it is highly likely that you are able to get a job if you are present here locally. However, if your skill set and area of expertise is niche, you can apply to specific roles within specific companies and there are chances of you getting an interview. I am sorry, I do not have information about Canada PR so won’t be able to comment on the last question. Hi Gaurav. Your information is very useful. I am a Corporate lawyer from India and working with a private firm since last 4 years. I wanted to know what are the job opportunities for a Indian lawyer? If i take up a masters course in Australia, is it possible to get a job? Hi Susmeta, I suggest visiting websites like http://www.seek.com.au to gauge the availability of your kind of roles. Skills are given more importance here and while a local degree will definitely help, it all depends on how good you are, at what you do and how well you can present it. My question without PR they will not recruit us? Depends on the role and profile. If your skill set is unique and they are not able to find someone locally, they may consider sponsoring too. All the best! Thank you sharing the information.Me and husband have received an 189 visa invitation and our PR visa is in progress. Regarding my background I am recent master graduate from NTU Singapore from electronics and my husband is a mechanical design engineer with 6 years work experience in Singapore . I have visited “seek ” website and saw few related positions in Sydney and Melbourne . 3.Are job oppurtunities better in Sydney or Melbourne ? 4.How is the comparison of cost of living between Sydney and Melbourne? There are good opportunities in technical fields too. It depends on what you are looking for exactly. There are many engineering companies which you can consider joining. Remember that only 3% jobs are filled through online. Try to find people on LinkedIn from your industry and connect with them. They will be able to provide more specific answer. It all depends on your experience. If you bring a very generic skillset then people would expect you to have local experience. Having said that, it all depends on how you articulate the value that you can add to the role. If you are confident of your skills, then local experience is not going to be a challenge. Both cities have a lot of opportunities. It is not one is better than other. Sydney is expensive as compared to Melbourne (slightly). Weather is a bit better in Sydney then Melbourne.